Made of all natural herbal ingredients including natural plant essential oil, Gan Geok Eng Herbal Repellent Spray repels mosquitoes without hazardous chemicals. It has the aroma of various plant essential oils and Pythoncidere. 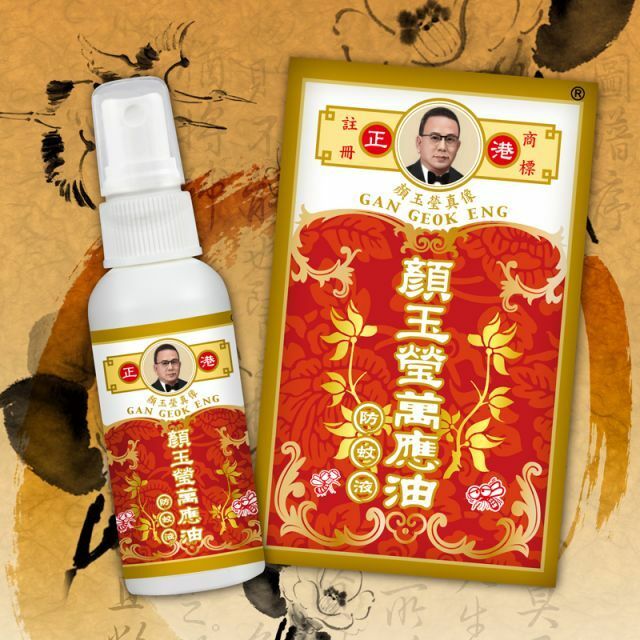 Therefore Gan Geok Eng Herbal Repellent Spray is also a healthy air freshener. And it does not contain any chemicals and preservatives, especially no camphor and DEET. It is safe for everybody to use. Prevent mosquito and other insect bites.